Work on porting Internet Radio Locator to GTK+ 4 has begun. At the moment there is a design mockup for a modern GNOME 3 interface by Christopher Davis and the Initial Glade XML Interface for GtkBuilder. GNOME Internet Radio Locator for GNOME 3 is now available in Catalan. On October 1st 2017, a referendum was held on whether Catalonia, an autonomous region of the northeast of Spain, should declare itself to be an independent country. The Spanish government has ruled the referendum illegal, and is taking action on a number of fronts to shut it down and to censor communications promoting it. It is not very likely that the Spanish government is capable to shut down Catalan language translations for Free Software, but so far the Spanish government have tried to shut down .cat domains that announced the Catalonian referendum before October 1. You can read more about the referendum on whether Catalonia, an autonomous region of the northeast of Spain, should declare itself to be an independent country at the Electronic Frontier Foundation. A referendum is a democratic tool for citizens and should not be shut down by the police. 90% voted for a Free Catalonia on October 1, 2017, despite claims by the Spanish prime minister that “no referendum was held in Catalonia”. On Friday July 28th 2017 I took the train from Oslo Central Station to Oslo Airport and waited for my Norwegian Air Shuttle flight from Oslo via Arlanda to Manchester. The plane was delayed 15 minutes at Arlanda in Stockholm to Manchester Airport. I took a taxi from Manchester Airport to 48 Bonsall Street and the taxi driver assisted me to find the information desk at Manchester Metropolitan University. At the information desk at Manchester Metropolitan University, my passport was checked against a paper print based on electronic registration on the GUADEC 2017 website in April 2017. 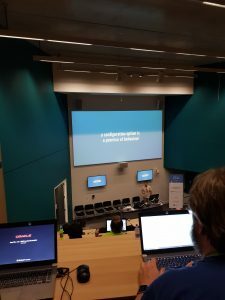 GUADEC’s domain name is guadec.org and this year’s conference had the address 2017.guadec.org. 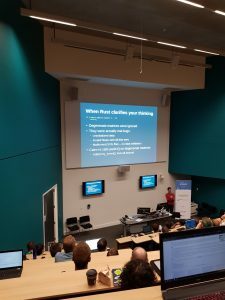 Sam Thursfield organized the conference in Manchester this year with a number of volunteers from the GNOME Foundation. I got a key card and was guided by a security guard to the Dale 6 Room 2 accommodation. There was some traffic noise from the road, but it was possible to sleep. Woke up at 8 and went to the MMU Brooks Building, where I met the Norwegian Fredrik Schaller from Red Hat Software and Christian Hergert who has developed GNOME Builder. Then I registered to GUADEC 2017 on Day 2 with the GUADEC volunteers. 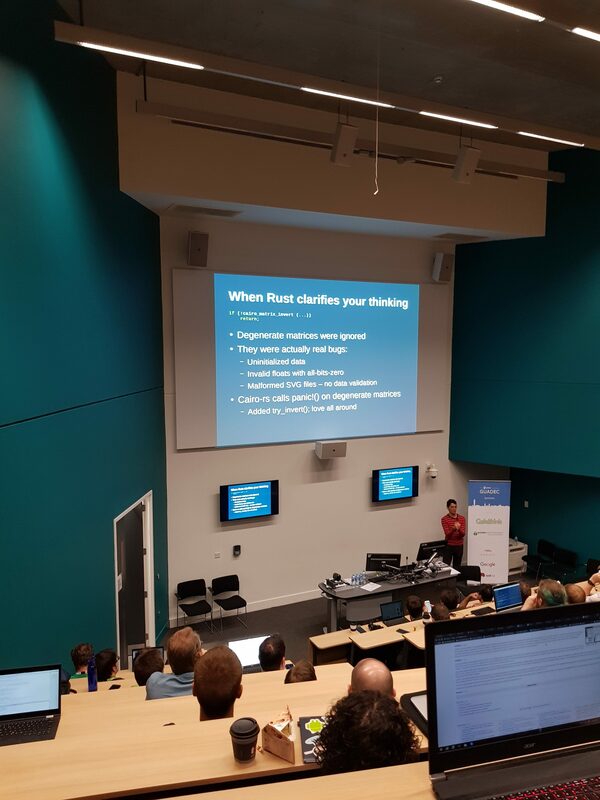 The first lecture on Day 2 Building your GNOME app anywhere with Meson announced with Nirbheek Chauhan and held by Jussi Pakkanen was about building GNOME software on platforms like GNU/Linux, Mac OS X, Android and Windows with Meson. Meson Build is available at www.mesonbuild.com. Carlos Garnacho and Florian Müllner held the lecture Mutter / Gnome-Shell State of the Union, which discussed rendering in Wayland. Federico Mena Quintero held the lecture Replacing C library code with Rust: what I learned that was about his port of the C library librsvg to the language Rust available from rust-lang.org. The GNOME infrastructure build sheriff Emmanuele Bassi held the lecture Continuous: Past, Present, and Future about the continuous work to make sure GNOME software builds. Jonathan Blandford held the lecture A Brief History of GNOME about the beginning of The X Window system, GNU, Linux, KDE and up to the 20th anniversary of the GNOME project since Federico Mena Quintero started the GNOME project with Elliot Lee and Miguel de Icaza on July 29, 1997. 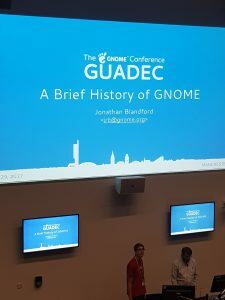 Chairman of GNOME Foundation, Neil McGovern held the lecture GNOME to 2020 and beyond. 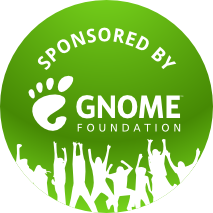 On Saturday the GNOME Foundation Annual General Meeting was held and there was a panel discussion with 6 members of the GNOME Foundation. After the events were completed, I met Federico Mena Quintero and told about the development of GNOME Internet Radio Locator for GNOME 3 where I have developed support to search and listen to free, non-commercial, international radio stations in over 60 cities using free-text search and markers in GNOME Maps using libchamplain, clutter and audio playback using the gst-player in the gstreamer module developed by Sebastian Dröge whom I also met and thanked for his work with gst-player during a lunch on Saturday 29th of July. 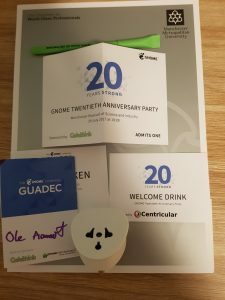 Later on July 29th, which is the birthday of Federico, a birthday party for the GNOME project was held at the Manchester Museum of Science and Industry (MOSI). Before that I exchanged a few more words with Federico Mena Quintero who developed gdk-pixbuf that GNOME Maps utilizes in rendering map tiles from OpenStreetMap. Tobias Bernard, who is a designer, gave the lecture Building Interfaces from the Future in the Hopper auditorium, dealing with semantic animations in GNOME and how to develop visual events. I began writing user documentation for GNOME Internet Radio Locator for GNOME 3 while listening to the lecture Recipes – Lessons learned from creating a new app by Emel Elvin Yildiz and Matthias Clasen in Red Hat Software. The app is for food recipes. Matthias Clasen kept the lecture alone. On behalf of the GNOME Foundation, Chairman Neil McGovern has made a political statement on Donald Trump’s travel ban to the United States. 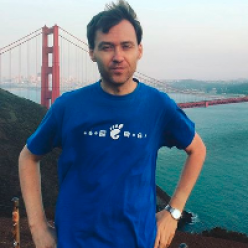 The travel ban affects members of the GNOME Foundation, which have so far been able to move to hundreds of conferences in the United States and other countries in the world. The GNOME project is an international project of language translations for many of the different languages ​​from around the world: l10n.gnome.org. Tristan Van Berkom held a lecture on GNOME Build Strategies and BuildStream and Tim Lunn held the lecture Bringing GNOME home to Ubuntu, which drew up the story about GNOME and Ubuntu after Jonathan Blandford’s historical lecture A Brief History of GNOME, mentioning how GNOME was not supported by Canonical Ltd. for many years as they focused on Unity, but that they have begun to invest in GNOME development again from 2017. Peter Hutterer from Red Hat Software gave the lecture On mice, touchpads and other rodents about libinput, a free library for reading input events from mice, touch screens and other devices in GNOME. Then I said goodbye to Manchester and took a taxi from Manchester Metropolitan University to Manchester Airport Terminal 1, where I waited for 2 hours. 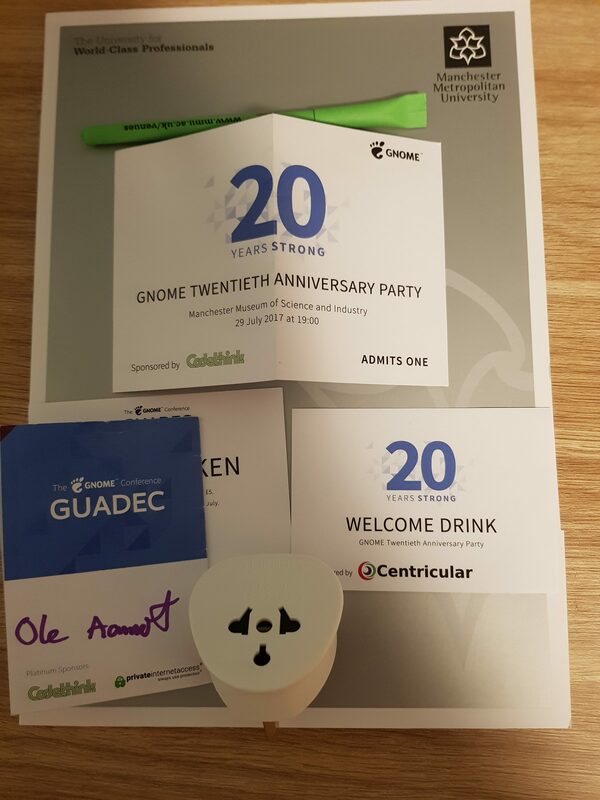 Yesterday I booked housing and conference tickets for GUADEC 2017 in Manchester, so in July I am flying from Oslo to Manchester, meet other Free Software hackers from the GNOME Project, and fly back to Oslo via Malaga. It will be my only international trip this year.